From our viewpoint today, it is difficult for us to understand that for many thousands of years, alcohol was an ingrained part of every day life. Unlike today, alcohol wasn’t just one option amongst a suite of substances that offered enjoyment and social interaction. Instead, Alcohol provided us with the ability to survive a newly urbanized lifestyle and develop into the sophisticated, populated civilisations we see today. As agriculture allowed larger quantities of food to be grown and controlled, villages became towns and towns became cities, growing in complexity. With large concentrations of people, came polluted water. The alternative to drinking unhealthy water was to drink beer and wines. There are very few references in the Bible or even ancient Greek writings to water drinking. It could be said that we owe our status of an advanced civilization to Alcohol. As beer and wine were free of pathogens they allowed the population to flourish. There are many references to wine being diluted with water in ancient texts. The Greeks viewed drinking diluted wine as a mark of civilized behavior, and believed that only barbarians drank unmixed wine. Although this dilution was obviously a way to moderate the effects of alcohol, it was also a way of sanitizing dirty water as the antiseptic power of alcohol killed many of the bacteria in dirty water. Alcohol was also known in the East, but it doesn’t play the central role it filled in Europe. One possible explanation for this is the fact that the East had been purifying its water for centuries, but through the act of boiling it. Tea drinking in China started over 4000 years ago, while coffee drinking started in Ethiopia in the 13th century. Interestingly, approximately half of all Asian people don’t have any enzyme necessary for complete alcohol metabolism. We don’t know why this is- maybe because without alcohol in their daily diet, they did not develop the same biological system to handle alcohol as people in the West did. As well as providing a healthy liquid, alcohol also provided nutrition. Various forms of crude distillation have been mentioned throughout history, although the date and place of its invention are not known. Because of the need for healthy liquid, alcohol continued to be drunk for centuries. No other alternative to unhealthy water became widely available until the 17th century. At that time, beverages made with boiled water became popular. Coffee, tea, and cocoa thus began to break alcohol’s monopoly on safe beverages. 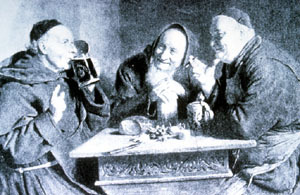 Even though the Reformation and the 18th century saw a rise in antagonism toward alcohol- mostly at the hands of religious separatists, it had little real effect. In fact, it was only the early advances in water filtration that would allow separatists like the Mennonites to abstain from alcohol. The fact was that up until the end of the 19th century, the Thames in Britain and many other rivers in other countries were just as polluted as the streams of antiquity. The first municipal water treatment plant was built in Scotland in 1804, and in the 1890s, America started building large sand filters to protect public health. These advancements in water purification came at the same time as alcohol’s dangers were becoming more widely accepted and while religious groups began campaigning for tight controls of alcohol. The all-day drinking of beer and wine by adults and children died out. Other technical advancements had an impact on how alcohol was consumed. In England, the expansion of the brewery industry in the late 19th century were results of technical changes in the brewing process that enabled beer to last for longer, and also developments in transport technology that allowed it to be transported more quickly. Breweries became national companies, and therefore they became rich and influential in politics. In summary, the two technological advances that influenced the use of alcohol to a great degree are the invention of distillation and water filtration. However, although these two things have effected our drinking patterns have changed in the past century, we still carry the biological legacy. Virtually no person of European origin is unable to break down alcohol, thanks to a set of genes that firstly convert alcohol into acetaldehyde, and then into acetic acid. By contrast, more than 40 per cent of people of Eastern origins lack the gene.